New Online Course - "Creating with Canvas"
Our papercrafting supplies can be used for so much more than just cards, scrapbooks and gift items. page or an even bigger card! 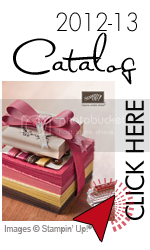 create your canvas already in your craft stash! From July 27-31, a new "Creating with Canvas" PDF file will be loaded to the site, full of techniques. And, you'll use these techniques over and over again! adding 3-D embellishments to your canvas, learn painting techniques and more! you'd like to make these canvases again! 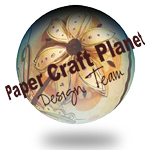 in this course with most of the supplies you already have in your papercrafting stash! And even without some of the items, they're easily secured at a local craft store and very inexpensive. Tutorial CDs will be ready to ship starting August 3rd. The "Creating with Canvas" Course will rock your creative world......and the best thing about it is that you probably already have almost everything you need for these canvases......and you can make them over and over again! Fun using patterned paper on canvas! At the beginning of December, I was aching to use some of the canvases that I've had hanging around my studio. They've literally been in my house for more than a year and traveled to the new house with us when we moved in August. I got them when they were on sale and knew that eventually, I would find some inspiration to start working on them. Also at the beginning of December, I went to a showing of a documentary called, The Fragrant Spirit of Life: Misery and Hope in Uganda. One of the reasons that I wanted to see this documentary was because I spent 2 months on a missions trip to Uganda when I was 14. It was a life changing experience that was desperately needed at that age. The things that I learned back then are things that I've carried with me throughout my life. As I watched the "Sam and Esther" segement of the film (Click here to see it on YouTube: Sam and Esther), I found the inspriation that I've been looking for all during 2008. Every time I looked over and saw those blank canvases, they called out to me, but the inspiration I needed hadn't come yet. Last Friday, I took one of the canvases out and got to work. In a week's time, I've now started on #4. In between working on these canvases (which I'll eventually get to showing you over time), I took a smaller one out to work on a gift for friends in Indiana. They are expecting baby #2 and I wanted to do something special for them that their girls could share. Their first little one is named Avery and their second little one (due in just a couple of weeks) is going to be named Aidan. They both will share the same middle name, "Grace." I'd never heard of siblings sharing the same middle name until now and thought it was such a sweet way to start these two little girls out sharing something so special. I created this canvas to put in the room they'll share and hope that this will be something they love to look at with all its bright colors. I painted the canvas first and then started cutting out patterned paper to create the little girls in their dresses. I added some buttons for their hair and flower buttons for some extra dimension. The patterned paper came from the "Die Cuts with a View" Spring stack. It's such a fun and playful set of papers for little girls. I had so much fun making this and I can't wait to show you what else I've been working on. Happy Creating and Happy 2009!